In March 2007, Roma and I visited the Murcia region of Spain with a view to purchasing a property for investment purposes. 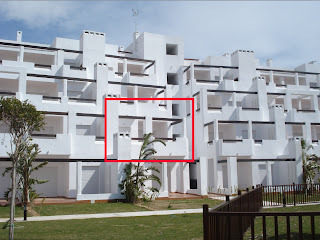 While I was very skeptical about some of the salesman's hard sell approach to getting us to part with our money, in the end we signed on the dotted line and bought a Polaris World 2-bedroom apartment in a golf resort called Terrazas de la Torre. It was now time to sit back and simply watch our investment increase in value - right? How wrong could we be! Our piece of Spain - click to enlarge. Polaris World must be to worst company of all time to deal with - no communication was responded to, and no information was provided as to the progress of the building of our apartment over four years. We had to rely on rumour and speculation from bloggers and discussion boards for what little information we could get. Suddenly, almost four years to the day we signed, we get a letter notifying us that we were to close the sale in six weeks! Feckin' hell! 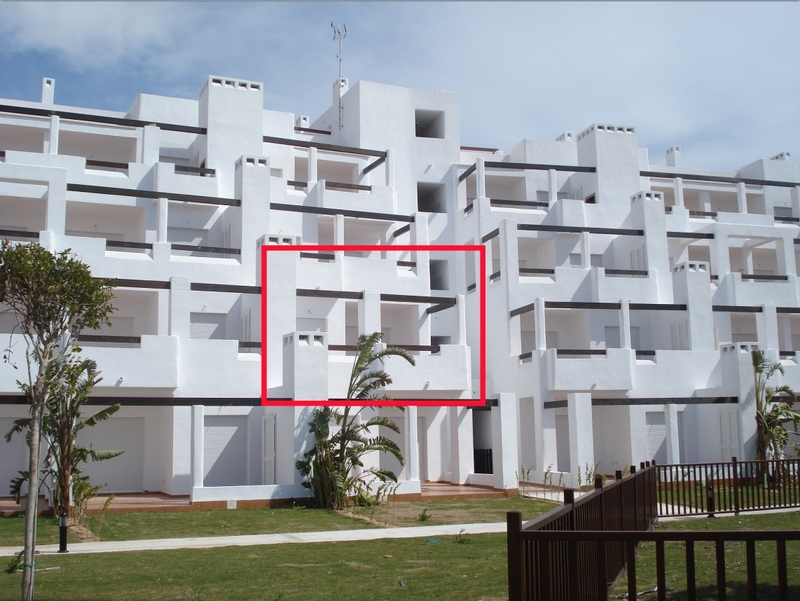 We finally got to see our property on St Patrick's Day - we now own a little piece of Spain (marked in red on photo). While we were not allowed access to or own apartment, we did get to view it from the outside. We were also shown another apartment by the excellent Rob from Fairways Condado (who did our snag list - I strongly recommend Rob and his services), which was the same design as ours. While small, it looked great and it nice to be able to set foot inside an apartment in Terrazas - even if it wasn't our own. Terrazas de la Torre is far from finished - on the Thursday (17th March) we were there, there was very little building activity taking place. Our snag list was very short with just some minor issues, and the building you see above looks good. The gardening surrounding the building is (predictably) very new - the grass has just been laid and all plants are very small. In time this should look good. The swimming pool at the front of the apartment block looks good - apart from the green water (which can easily be fixed). However, as you will see in the video below - there is still a lot of construction work to be done. There are a lot of "skeleton" buildings around, and right beside our apartment block there are some foundations dug for new blocks. Very dusty and dirty looking. The golf course looks good, and is open as we saw people playing on it. Copolla's Bar is good, but not much else in the "town centre". In short, while some of the resort looks great - it is very much still a building site.